A Few Words from Evelyn: The Calgary area is known for its majestic Mountain scenery and expansive natural space. While the natural scenery surrounding Calgary is stunning, we wanted to highlight urban Calgary for a change. Inspired by a combination of a New York City rooftop garden and a French Country garden, we created an intimate, relaxed setting where a modern couple celebrates their love over a great meal with close friends. We created a dining area with casual, rustic wood tables, a long wood bench, dark Tuscan chairs and matte black flatware and stemware. These masculine elements were softened with French Country details like simple ivory linens and bright florals with trailing greenery vines to complete the tablescape. Instead of a traditional large cake, we opted for three small cakes with the barest of florals and vines. The calligraphed stationery pulled in the jewel-tone purples and pinks of our garden florals. 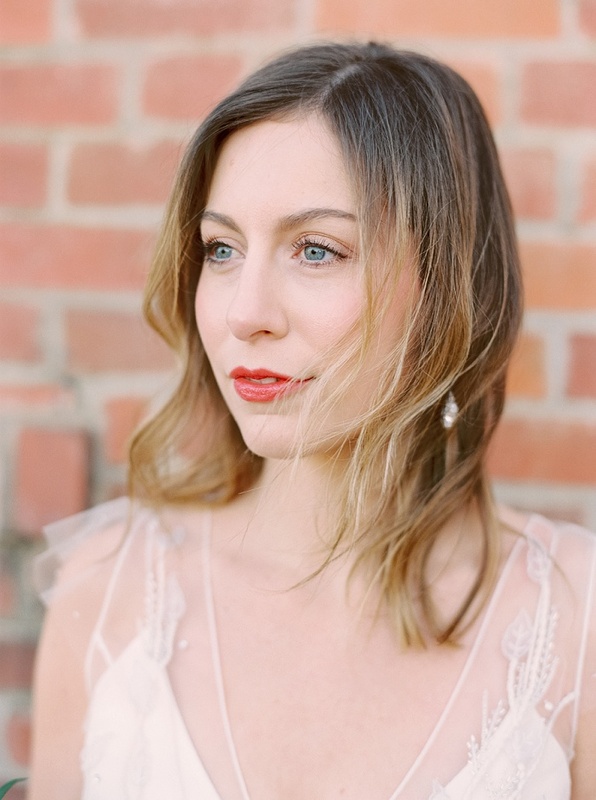 Keeping with the relaxed, urban theme, our bride wore an understated gown from Alexandra Grecco and kept her look fresh with effortless hair and makeup. 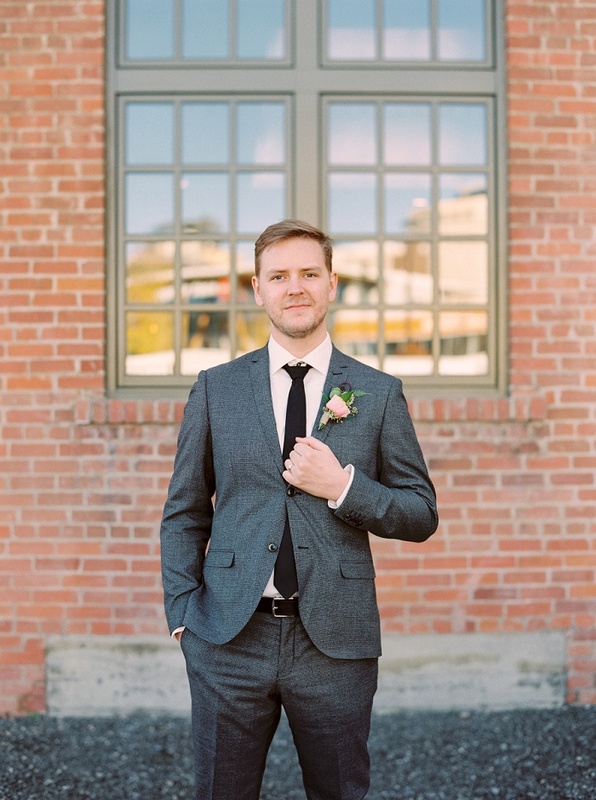 Our groom wore a textured suit instead of a more traditional suit or tux. 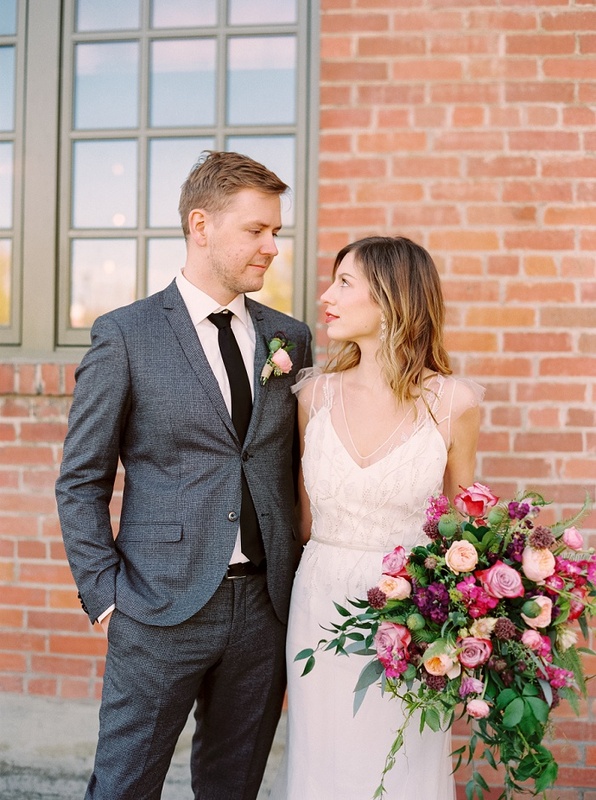 We let the florals be the showy element of their look, with a large bouquet composed of tons of tumbling, textured greenery and various roses.